I have a weekly meeting with my friend Jake. We usually gather for coffee on Tuesday mornings. Conversations range from literature, music, cultural trends, presentation planning, married life, church-planting, why this might be THE year for the Cubs, and the deliciousness of Mello Yello Zero. A few weeks ago we kicked around the possibility of having a summer reading book club with youth from our two churches. 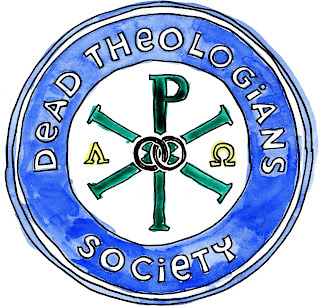 We called it "Dead Theologians Society" - a blatant rip-off from this Oscar-winning film. The purpose would be to introduce young people to scholarly works written 50+ years ago. Paul Soupiset is the brilliant artist at Toolbox Studios who designed the fantastic re:form confirmation videos as well as Jake's tattoo. We thought his particular style would provide the perfect logo for this project. Graciously, he agreed. He created and sent it to us within a day. What a cool cat! With our logo in tow, we were ready to invite people to participate. We put the word out via Facebook, newsletters, special emails, and a barrage of text messages. Obviously, not every person (regardless of age) is super excited to read Bonhoeffer, Newbigin, etc., but there were several young people who responded enthusiastically. It seems that teenagers take theology seriously and are interested in gathering in public places for these conversations. Who knew!? We're off to a good start, reading Life Together. Summer schedules are sometimes hit-or-miss, so we're offering two sessions a week. Even if a person can't make it a week or two, they can keep up with the reading schedule and check in with the group periodically. We're also hoping to generate some conversation on our Facebook page...so feel free to weigh in. As many of my Facebook Friends already know, my parents attended the most recent State Dinner at the White House. The dinner, hosted by President and Mrs. Obama, was held in honor of German Chancellor Angela Merkel. 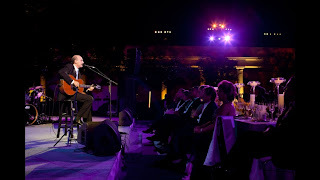 It was a magical evening for my parents, who were thrilled to be invited to such a grandiose event. 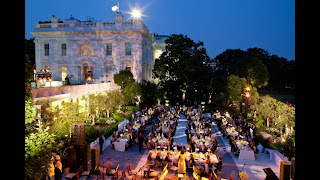 We had kept our invitation to the White House State Dinner for German Chancellor Angela Merkelvery low key. The first obstacle was believing that the invitation was for real. Then we wanted to make sure that we would actually be able to attend in light of the uncertainty of air travel out of Iowa (demonstrated by the cancelled flight home that added an extra day to the trip). It was an honor to represent the Northeastern Iowa Synod at the State Dinner for Germany. The simple words, “Welcome to the White House” are pretty powerful. The morning ceremony was an impressive display by the military honor guard and the President’s Marine Band. There were excellent speeches by the President and Chancellor that demonstrated their personal friendship and the friendship between our two countries which is the linchpin for European economic health and global security. The evening included a reception in the East Room, a chance to greet the President, Chancellor and spouses, the presentation of the Medal of Freedom ceremony to Chancellor Merkel, the meal and a program that included selections by members of the National Symphony Orchestra and pianist George Li. Li’s performance of Liszt’s Hungarian Rhapsody No.2 was stunning and brought the crowd to its feet immediately. James Taylor completed the evening with a set that included “Going to Carolina”, “Fire and Rain”, “How Sweet It Is To Be Loved By You”, “Shower the People You Love With Love” and “You’ve Got a Friend”. For the program, I traded places with the husband of Senator Shaheen in order to be able to sit next to Ruth. I’ll always remember her head on my shoulder, in the Rose Garden, listening to James Taylor. There were a few conversations of note. During the reception, I visited with Secretary of Agriculture, Tom Vilsack (former Governor of Iowa). During that conversation, we were able to guess how the invitation had come our way. President Obama is seeking to keep strong connections with faith-based outreach ministries. It appears that our work in Postville and with Barnabas Uplift (our inter-faith social ministry network providing job training, access to health care and substance abuse education) probably got us on the radar screen. I’m also on the Board of Regents for Wartburg College, named for the Wartburg Castle in Eisenach. Chancellor Merkel is from that part of Germany. Perhaps those three threads crossed and brought us the invitation. I mentioned to the President that I was the bishop of the territory that included Postville. President Obama immediately recognized the name of Postville. I did not complete my sentence before he promised that immigration reform is still very much on his mind, there is a lot of work to do, but “we’ll get the job done”. I shared with Chancellor Merkel that I was a Lutheran bishop. Her eyes seemed to light up when she heard that as her father is a Lutheran pastor. But there was no question that we connected when I shared that I am a Wartburg Regent. Michelle Obama was the commencement speaker at the University of Northern Iowa (also in our synod). She responded very energetically when I thank her for her speech and how it demonstrated that she understood and appreciated who we are in northeastern Iowa. There was a longer conversation with Secretary of State Clinton. She immediately asked about the flooding in Iowa which led to remembering the triple disasters in our synod in 2008; the ICE Raid of Postville, the floods and tornado. I was seated two chairs away from Austan Goolsbee, outgoing chair of the Council of Economic Advisors. It was good to be able to talk rural economics with someone who has such an influence on economic policy. Excuse me, now, while I go get a broom to sweep up all these names that I’ve been dropping. Thanks for allowing me to share our joy with you. Here is the list of attendees at the dinner. The Waterloo-Cedar Falls Courier had a nice write-up as well. I have a bit of a band-crush on Mumford and Sons. My favorite song of theirs is called Roll Away Your Stone, the 4th track on the 2010 album Sigh No More. Roll away your stone, I'll roll away mine. Together we can see what we will find. For I'm afraid of what I will discover inside. Within the fragile substance of my soul. And all the while my character it steals. Darkness is a harsh term, don't you think? And yet it dominates the things I see. But the welcome I receive with the restart. Stars hide your fires, these here are my desires. And I won't give them up to you this time around. Marking the territory of this newly impassioned soul. With which to take this soul that is so rightfully mine. Some fans have tried to affix the dubious label "Christian band" to Mumford & Sons...others believe that any band that uses the f-word in their songs (Little Lion Man) can't possibly be followers of Jesus. Both declarations are are besides the point, as far as I'm concerned. Yes, their music is filled with religious and spiritual themes (there's a difference between the two). 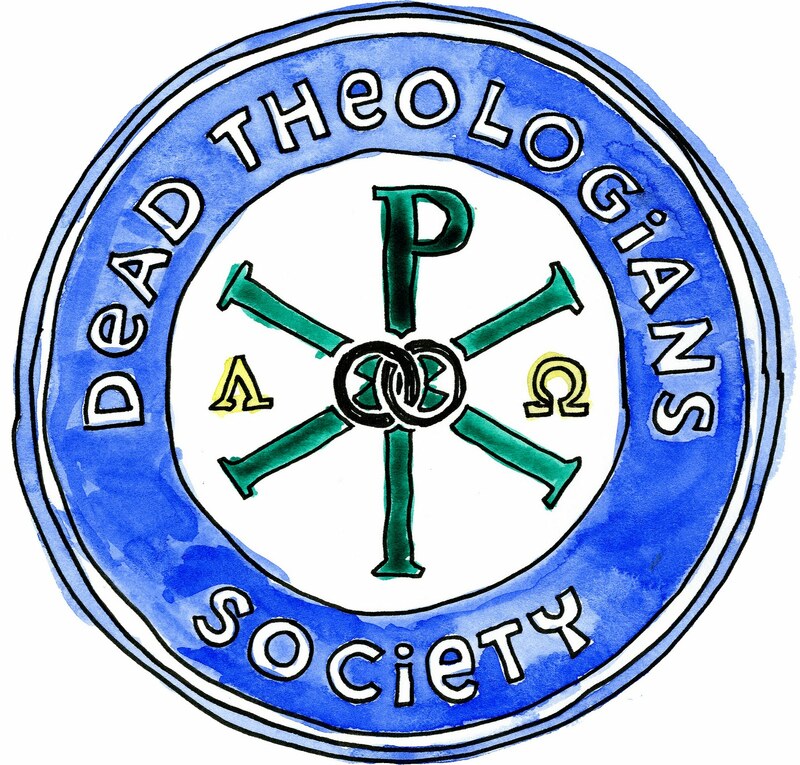 Yes, the musicians are members of an Anglican congregation in London. No, their record company isn't one of the big "Christian labels" like Sparrow Records or Inpop. No, I don't need a band to construct a credo that I deem sufficiently orthodox for me to extract meaning from their music. What are some of your favorite songs/artists that have inspired your faith journey; regardless of whether or not they are overtly "Christian"?